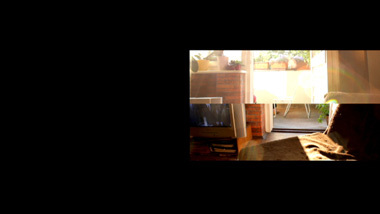 On Time, On Space is a video which explores the sensation of time and space through the relationship of sound, rhythm, tempo and image. The acoustic and rhythmic foundation of the video is a specific breathing exercise performed in Aikido during which different syllables are pronounced. The constant repetition of syllables to different rhythms and tempos draws the viewer into a meditative state. 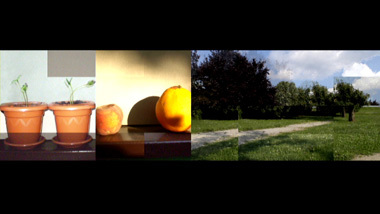 The video recordings interpret the passage of time and the sense of space, but also explore the possibilities of the medium and the shot. 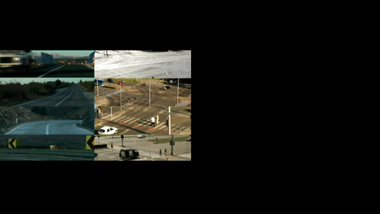 The division of the shot is directly connected with the sound, while the shots are often speeded up, slowed down or overlap in order to create different impressions and sensations of time and space. 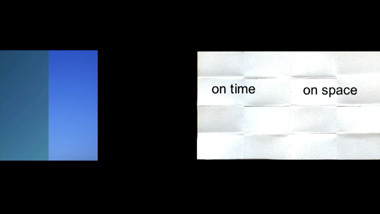 The film begins and ends with shots of the sky and paper unwrapping, giving the whole film a cyclic, closed structure. Within this closed structure the viewer has complete freedom to interpret the shots and sound in their own way since the experience of space and time is completely individual, while simultaneously also being completely physically determined. By manipulating time and space through the use of the medium, possibilities arise for new experiences which would not be possible in the “real” world.